Karyna Gomez describes her family as strong, loving, and caring. Even when times get tough, she says they always stay positive and look on the bright side. This type of outlook on life has encouraged the Gomez family as they faced the complicated birth of Kysaura in February of 2019. 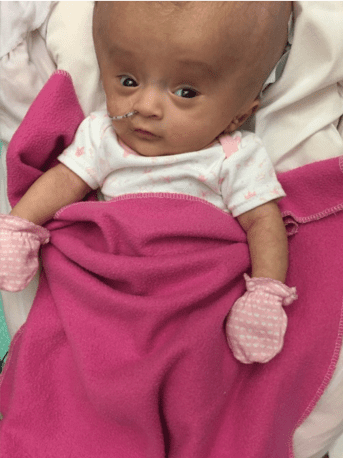 Kysaura was born with hydrocephalus which is when fluid builds up in cavities deep inside the brain. 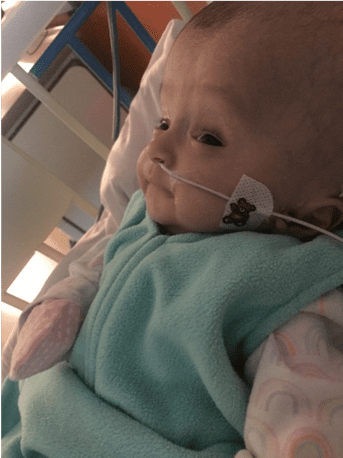 The newborn faced countless doctors’ appointments and multiple surgeries, but looking on the bright side, the Gomez family was surrounded by a top notch medical team and the Ronald McDonald House Charities of Eastern Iowa and Western Illinois to take care of their daily needs. To drain the fluid from her brain, doctors placed a shunt in Kysaura’s head and later performed a total of three surgeries. Karyna couldn’t be more proud of her daughter, “Kysaura is doing great after all that she’s been through. 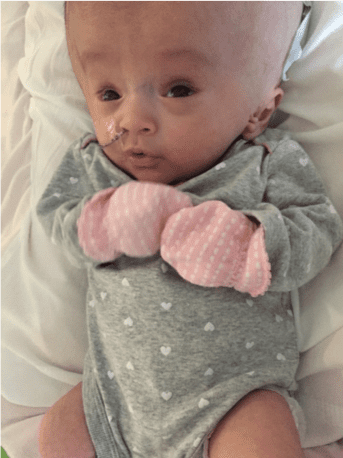 She is such a strong and beautiful baby.” During all of the medical procedures, the Gomez family was set up at the Ronald McDonald House in Iowa City. The Gomez family felt grateful and lucky to be close to Kysaura, “We live over three hours away from Iowa City and Ronald McDonald House was able to provide us everything we needed. We loved the variety of dinners offered each night and to be able to interact with all of the other families while enjoying a home-cooked meal was very special. This place quickly became our home.” said Karyna.